If you can’t tell by now, I’m head over heels for balsamic vinegar. I love the stuff and I’m always trying to find recipes or ways to get more of it in my life. There’s something about the flavour, it’s just so good! I have a special tenderloin recipe that I break out in the summer when I’m wanting to impress people. 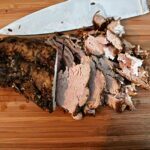 It’s actually the easiest pork tenderloin recipe I’ve ever made – but it’s so incredibly good, people rave about it and always ask for the recipe. I usually just tell them they’ll need to come back and visit if they want to have the tenderloin again. Since it snowed last weekend, and I wasn’t really feeling like grilling in the snow, I slightly adapted my stand by recipe for the slow cooker. It was so freaking good, I couldn’t even take a picture of it that night, because it was just falling apart while it was hot. It literally melted in my mouth. Combine all ingredients in the slow cooker, toss to coat. Cook on low for 8 hours, turning once at 4 hrs. Have you ever smoked it first? 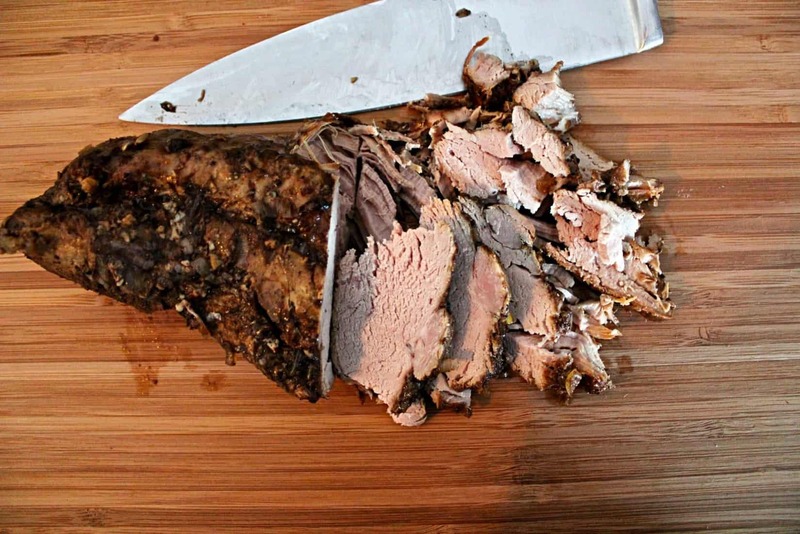 What a delicious way to do pork tenderloin! Pinned to make soon! It’s definitely a favourite at our place!